A previous post discussed the (loose) nature of the Old Testament canon in the Orthodox Church, but what about the New Testament? Unlike the Old Testament, the New Testament as a canon of 27 books is agreed upon by essentially all groups which identify as Christian. The way in which the New Testament canon came into existence, however, is the subject of an immense amount of disinformation and uninformed opinion. When asked when these 27 books were ‘canonized’ as the New Testament, many will answer that that happened at the Council of Nicea. Some will present this event as the bishops involved looking at a vast array of texts, including but not limited to the 27 which would be accepted, and voting on which ones would and wouldn’t be in ‘the Bible’. Others will say that there wasn’t a vote, but that the bishops discussed the matter, and had arrived together at some set of criteria, usually including apostolic origin and a few others, by which they judged all of these books, and decided which were ‘in’ and which were ‘out’. From this kind of imagery, Roman Catholic apologists will assert that the authority of the books of the canon therefore rests on the authority of the bishops (particularly the bishop of Rome) who chose them. Often it is then said that Constantine, following the council, went on a sort of book-burning rampage, attempting to destroy all of those other books besides the 27, which proponents wish to hold out as equally legitimate, in order to conceal their contents. The main problem with this approach is that it is grounded entirely in fiction. The canon of the New Testament was not discussed at Nicea in 325. Therefore there was no vote, the bishops assembled no criteria, and there certainly was no subsequent book-burning. While this story has provided grist for novelists like Dan Brown and for the makers of cable television documentaries about ‘secret, lost books of the Bible’, it cannot be taken seriously historically. Even scholars of the New Testament who have profited much from the idea of there being several different ‘Christianities’ in the early centuries, many of which were based on these other texts, like Bart Ehrman, will freely say when asked that the above story is so much bunkum. 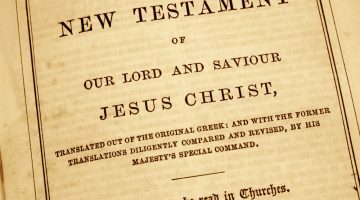 How, then, did the New Testament form and when? We know, from the writings of St. Irenaeus and others, and from actual textual discoveries, that the four gospels, Matthew, Mark, Luke, and John were being bound together in codices and utilized exclusively in churches by the middle part of the second century, i.e. the 150’s A.D. St. Irenaeus points out that this is the case in cities like Rome and Antioch, no proffering at that early point that those cities had some special authorities, but rather pointing out that at that early date, there was still a living memory in those Christian communities of the proclamation of the Apostles themselves to those communities, and this verified that these were the books which they had received from those same Apostles. This language will remain important for centuries, as the Fathers do not speak about which books wield some authority, or show some sign of divine inspiration, but rather speak about the books which they have received. It is also important to note that even at this early date, the Gospel codices contain precisely these four, and this is true across the world. It is not the case that individual communities used individual gospels, for example, and when they eventually came together, they combined the four. Nor do we have a single instance of any other gospels being included in these codices. In fact, the earliest of the Gnostic gospels, the Gospel of Thomas, was being written in the early to mid-second century, and so could not have possibly been included, let alone those composed later. Its is also now broadly accepted by scholars that by the year 100 A.D., St. Paul’s epistles had been gathered into a collection, and were circulating together, rather than as individual books. One of our earliest manuscripts of St. Paul’s epistles is, in fact, an early edition of this collection, identified as Parchment 46. This collection includes the Epistle to the Hebrews, directly after the Epistle to the Romans, but that is a subject for another time. 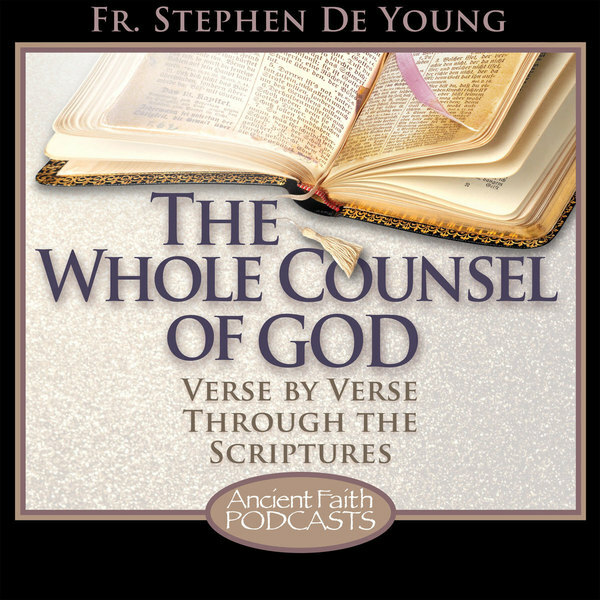 There is very good historical evidence, much of it from the controversy with Marcion at the very dawn of the second century, that already these two books, the codex of the Gospels and the codex of St. Paul’s epistles, were functioning as scripture in Christian worship throughout the world in a way very similar to their function today in the Orthodox Church. In fact, 2 Peter 3:16 identifies St. Paul’s epistles as scripture. This means that 19 of the 27 books were agreed upon as scripture by the entirety of Christian communities in the earliest period, the beginning of the second century, to which we have historical access in terms of evidence. The other 8 then, the General (or Catholic) Epistles and the Revelation of St. John are sometimes referred to as ‘disputed books’. This gives the impression that there were arguments going on, for centuries, debates about these books, again based on some external criteria. Again, however, this is a myth. This idea comes from a mistranslation of a distinction in Eusebius, who spoke of ‘homolegoumena’, the books about which everyone says the same thing, and ‘antilegomena’, books about which people say different things. In the earliest centuries of the history of the Church, there was no central authority or overarching authority structure beyond the local bishops in their cities. While bishops in various regions, at various times in these centuries, gathered together in local councils to discuss issues pertinent to them all, the findings of these councils, at the time they were held, held no authority or power over other bishops who were not involved. We therefore have Christian communities developing across the Roman Empire, and even far beyond, following the teaching of the Apostles, on their own. This is what makes their agreement on these 19 books at such an early stage so stunning. But this development gets at what the word ‘canonical’ means. A canonical text is a text which exercises authority within a community. And so, the previously mentioned 19 books held this authority in churches across the world. Individual churches then had additional books which exercised authority in their communities. As Christian communities encountered and came into contact with each other, they evaluated each other as to whether they recognized this other community as a Christian community like their own, or whether this community was, in fact, something ‘other’. One factor in this encounter was which texts that other community used as authoritative. And so we see St. Irenaeus, in encountering Valentinian Gnostic communities, recognizing that they are not Christian churches like his own, but rather something else, using a different set of texts, and holding a vastly different faith. On the other hand, when a community that had only known one Epistle of St. John encountered one which knew three, despite this difference, they recognized that community as another Christian community like their own. The eventual 27 book canon list that developed over time was therefore descriptive, not prescriptive. It listed the books which held authority in the churches that were recognized as Christian. It was not until the latter half of the sixth century that the Eastern churches broadly accepted the book of Revelation, and in the vast majority of them it is still not read liturgically, but those churches acknowledged the shared faith of other Christian churches which did so use the text of Revelation. We can therefore see that the only person who chose the books which would be in our New Testament is the Holy Spirit. The New Testament canon can be seen to have developed in the life of the Holy Spirit in the church, the shared life of the Christian people, which the Orthodox Church calls Holy Tradition. It was neither the decision of certain authoritative men, nor the recognition, based on a series of criteria, of a group of learned men. The Fathers treated as authoritative those texts which they had received as authoritative, just as we do today. Excellent. Any sources you recommend to read further? Michael Kruger’s ‘The Question of Canon’ is a pretty good resource on this. He’s a Reformed protestant, but when he writes about history, he goes out of his way to not slant it in the direction of his own beliefs. Thank you for pointing out that the canon was not discussed at Nicea. At first your statement startled me. So how did so many of us come to think that it was discussed and agreed upon at Nicea? Who started it? I feel like I have read it a hundred times that it was. But sure enough . . . it wasn’t! !